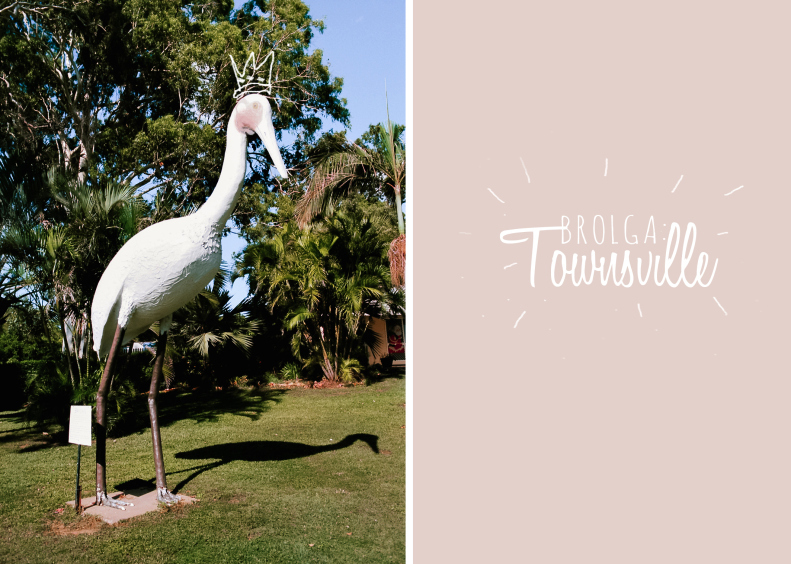 We found ourselves at the central Townsville tourist Centre with no Brolga in sight, turns out there’s two Tourist centers, so make sure you find yourself at the Southern one if you're hunting the elusive Big brolga. We ended up asking lots of locals in our search, one guy leading us down a rather empty sports ground *crickets chirping*. Address: ‘Townsville Southern Highway Visitor Information Centre’, Bruce Hwy, Townsville, QLD.